Every now and then, events in life mount up against you and make things more difficult or stressful than usual. When such times occur, they seem to dominate a lot of your time and thinking, and virtual worlds have to take a back seat, especially if one is not feeling that well themselves. The last few weeks have been like that! 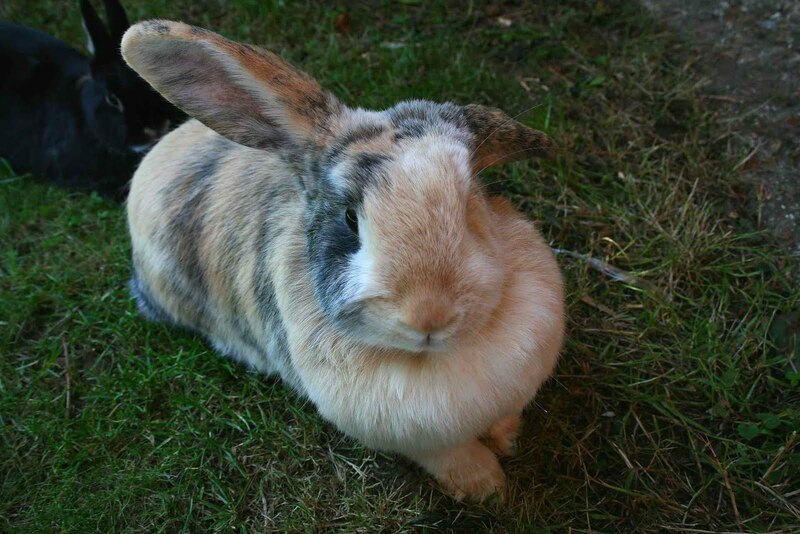 1) First and foremost, Daisy, another one of our pet rabbits has been taken ill. I noticed a small discolouration in her eye about 10 days ago, and since taking her to the vets, I have found out that it may be to do with the Encephalitozzon Cuniculi parasite, which had also given Honey, another one of our rabbits a health problem as well (but had not affected the eye in her case). This time, however, even with treatment, there is a possibility that Daisy might have to have her eye removed, which is a dangerous operation for rabbits. Daisy is a feisty young female rabbit and administering the treatment has not been easy - and is stressful for everybody involved, even when I try to be as quick and straightforward as possible. Time will tell how well the treatment works for her. 2) Both my wife and I have been suffering from "colds". Although while she still manages to get into work, I have been restricted to laying in bed some days. (Having M.E. makes these sorts of things more difficult to cope with.) As you can imagine, trying to cope with a sick rabbit while more sick than usual yourself is not easy. 3) Personal circumstances involving a neighbour have added to the stress levels of late. To be clear, my wife and I get along with the neighbours fine, but (without going into details), their current personal situation has indirectly involved us (as neighbours) and is taking some of my attention to help resolve. Not being well at the best of times means dealing with such situations prevents me from dealing with much else, including my hobby. 4) Lastly, with everything else going on, I have had little or no time to be creative, and so instead have tried to finish reading a book entitled, "Does God Believe In Atheists?" by John Blanchard. This, in turn, added to my interests in understanding more about God's plan of Predestination and Man's Freewill. So, in the little time I have had between dealing with sickness (personal and with Daisy), my head has been spinning with that issue .... unable to think about the module due to everything else going on. Isn't it strange how your mind latches onto certain topics when you are unwell. At the moment, I am still suffering and taking over-the-counter remedies to help bring relief. Some days are better than others, but I am still not well enough to cope with the other aspects going on in my life at the moment and so (probably) not much work will be done on the module until at least one or two of the above situations is resolved. I think if I saw definite improvements in Daisy, and my wife and I could be rid of our current infections, then coping with other issues will become easier and I should be able to get back into a slow-paced, but steady approach to continue chipping away at it again. In Islam (yes, I know you're a Christian), there is a saying that God does not give you a burden that you can not carry. There is a simlar saying in the Bible as well, about God not giving you a test that he has also not given you the ability to deal with.